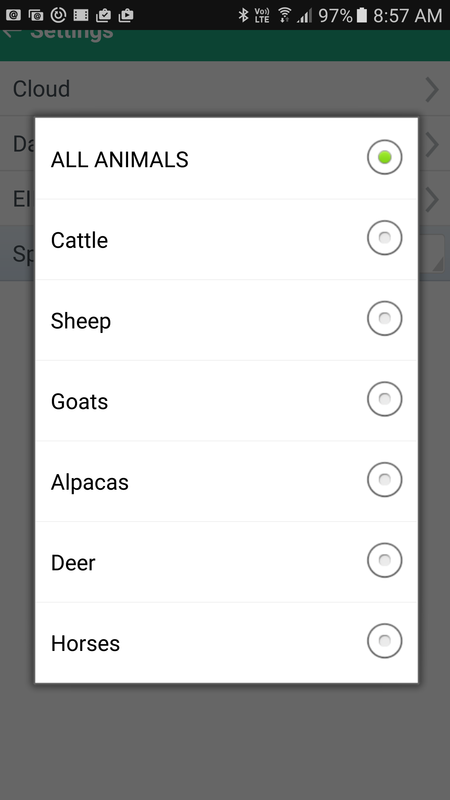 How do I change the species/livestock type in the Stockhand App? 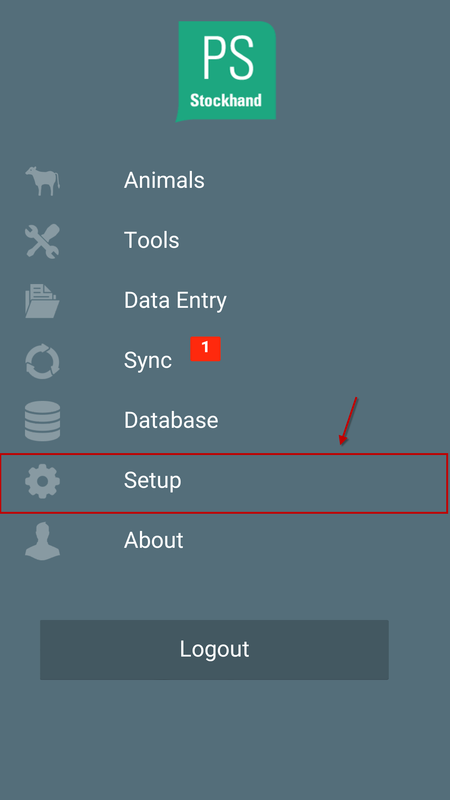 Step 1: Click on Setup from the Stockhand Home Screen. 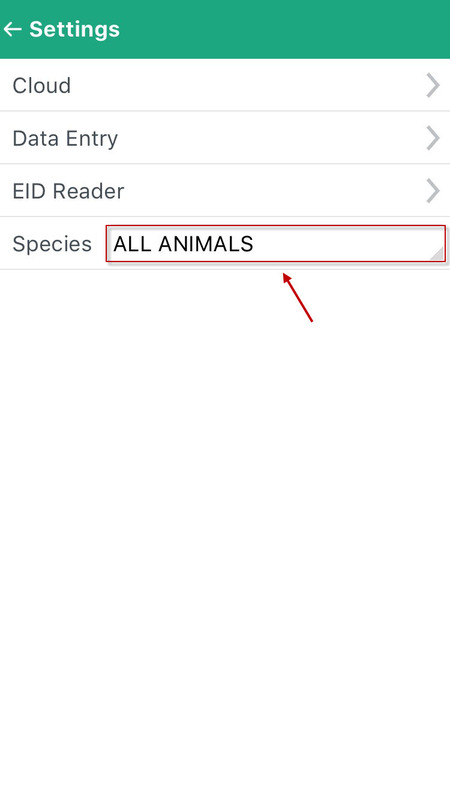 Step 2: Click on the Species Drop Down. After clicking on the drop down menu your screen should look similar to below. 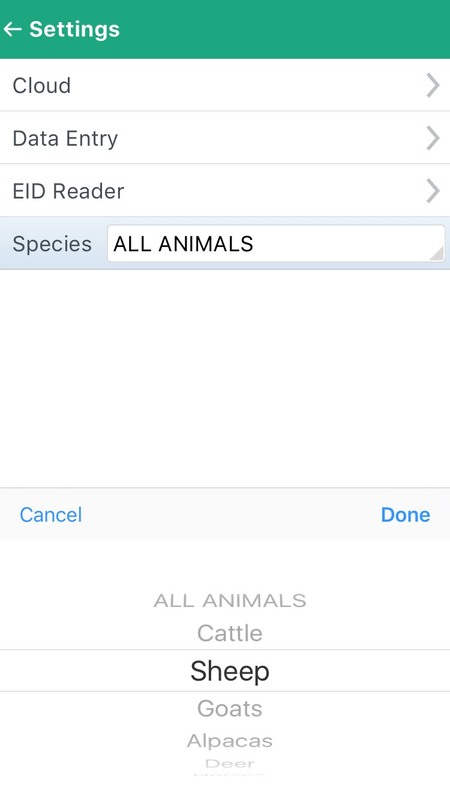 From here you can select whether you want to view all species at once or a singular species such as cattle or sheep. iPhones and Androids are slightly different, please see the below images to view your correct operating device.